While many if not most people enjoy eating, the majority of individuals aren't continually consuming foods that contribute to their vitality. With this reality in mind, make sure that you're carefully examining the things that go into your mouth throughout the day. Taking this step will prevent you from polluting your body with processed goods that will detract from your energy levels and cause a wide range of unwanted conditions such as hampered immunity and brain fog. If you're currently caught up in the Fast Food Nation lifestyle or find yourself continually purchasing items from the vending machine, try to access a few free delicious, nutritious recipes via internet. 2. Build Healthy Relationships Intentionally. One of the reasons that people fail to optimize their level of wellness results from their lackluster relationships. Whether it's someone encouraging you to go get drunk with them or an individual who continually disappoints you by cancelling get-togethers at the last minute, these types of lackluster relationships can detract from your self-esteem while also causing negative emotions such as frustration, anger, or indifference towards self and the world. In recognizing these realities, it's immensely important that you take the time to intentionally build healthy relationships with other people. Luckily, there are thousands of relationship-building strategies you can deploy to make this happen. One is placing primacy on open, honest communication. Another is constantly placing yourself in environments where you'll be engaging in activities that you genuinely enjoy. This will provide you with opportunities to meet people who are interested in the same things that you are. 3. Address Your Current Health Issues. Oftentimes, people ignore their current health conditions. Don't adopt this course of action. Doing so will only allow a wide range of unwanted issues to surface in your mind and body. This is why it's important to openly address and resolve your health issues if you're serious about wellness. 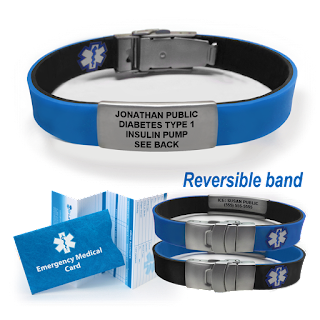 In the event that you have an allergy and are trying to keep it under control, consider the value of obtaining personalized medical id bracelets. Companies such as Universal Medical Data offer these bracelets, and they can save your life in the event that there's an emergency. Conclusion Eating the right foods, building healthy relationships intentionally, and addressing your current health issues are just three of many techniques you can use to cultivate mental and physical well-being. Start using these healthcare strategies now so you can become happy and whole!